on the slopes of Goat Mountain. The northern alligator lizard, Elgaria coerulea, is a secretive species found under rocks and bark in our woodland and herbaceous sensitive ecosystems… and sometimes in our greenhouses and gardens! 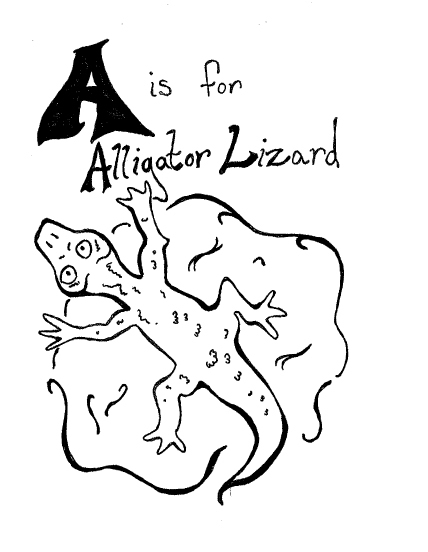 This fascinating little reptile bears live young, up to 6 or 7 each year. 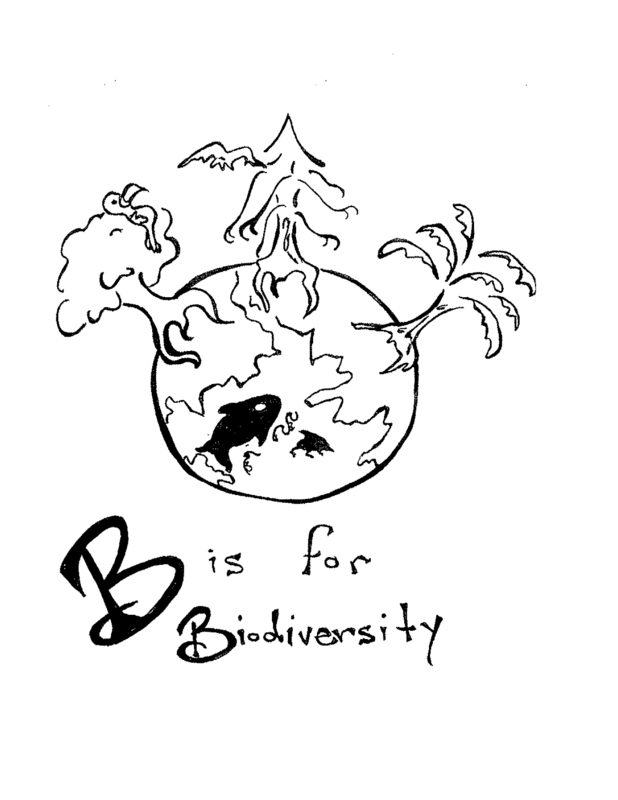 B is for biodiversity which makes the world go ’round! The term biodiversity was first coined by E.O. Wilson, naturalist extraordinaire! Biological diversity describes the full range of life in all its forms – genes, species, ecosystems and the ecological processes that link them. 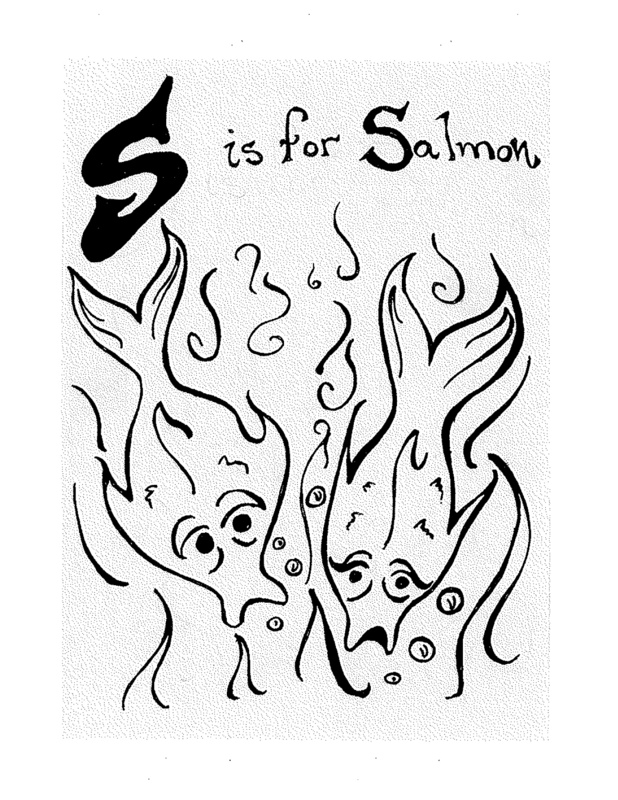 We are learning that the considerable biological diversity found within each species of salmon id, is the key to sur vival for the wild stocks of Pacific salmon. Therefore, we need to ensure excellent water quality for the survival of Carrington’s unique cutthroat trout, Oncorhynchus clarki. breaking down to feed the forest. 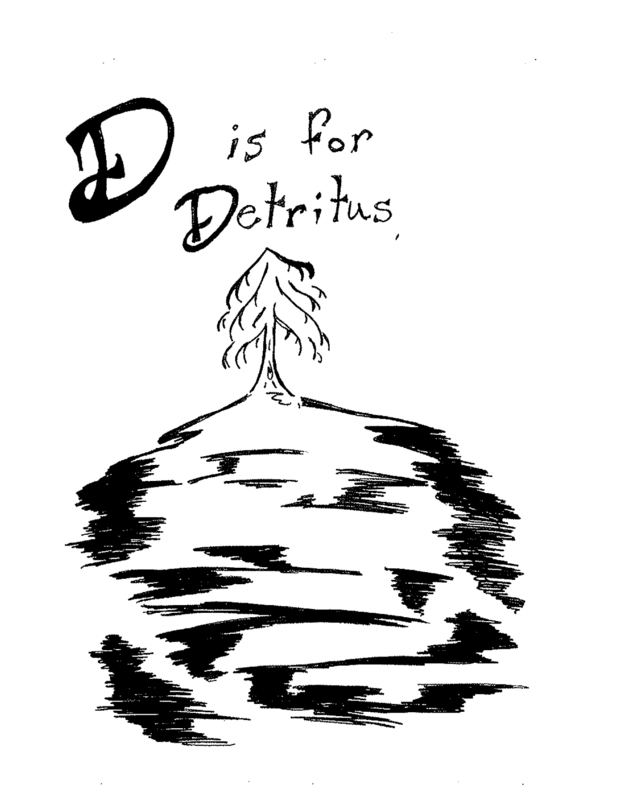 Detritus is exactly that – organic debris from decomposing plants and animals. Detritus is the forest’s storehouse of nutrients enabling the growth of the forest giants we have come to love in Grandmother’s Grove. all living and non-living parts of the whole. The canopy of the largest Douglas-fir in Green Valley is an ecosystem, Cortes Island forest lands are an ecosystem and the whole earth is an ecosystem! Oikos is the Greek root of the prefix eco and it means – home! Worldwide, there is an alarming decline in many species of amphibians. Habitat loss and fragmentation in the Pacific Northwest have left several native species at risk. Of special concern in B.C. and presently blue-listed, is our red-legged frog, Rana Aurora. 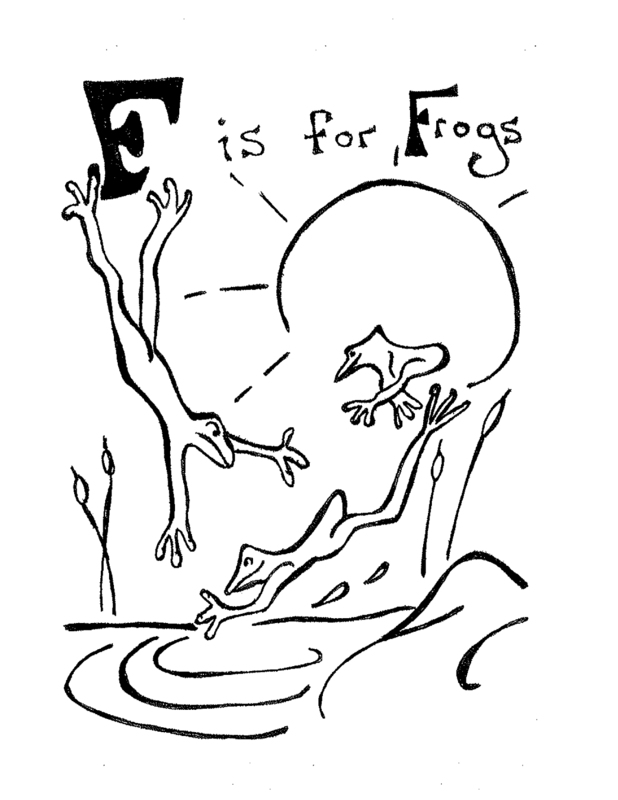 Protection of the deep, old-growth forest pools these frogs need to survive must be our first priority. 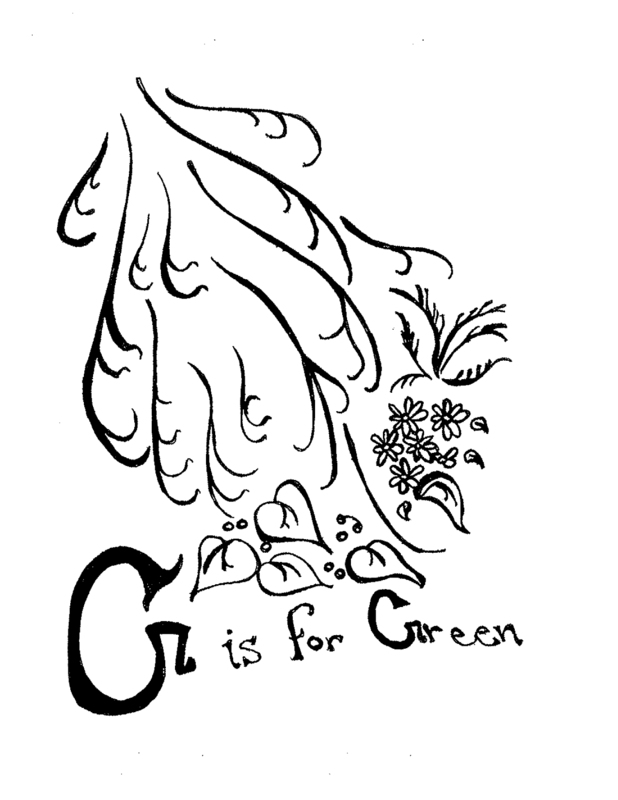 G is for green, the colour of Gaia’s glorious garden! Chlorophyll is the green pigment found in all algae and most of our terrestrial plants. Chlorophyll is responsible for light capture in photosynthesis, the chemical process at the base of life in our forest food chains. Interestingly enough, green is also the colour of the heart chakra! Habitat can be defined as any part of the biosphere where a particular species can live, either temporarily or permanently. Cortes forest lands are home to a multitude of species – including ourselves! 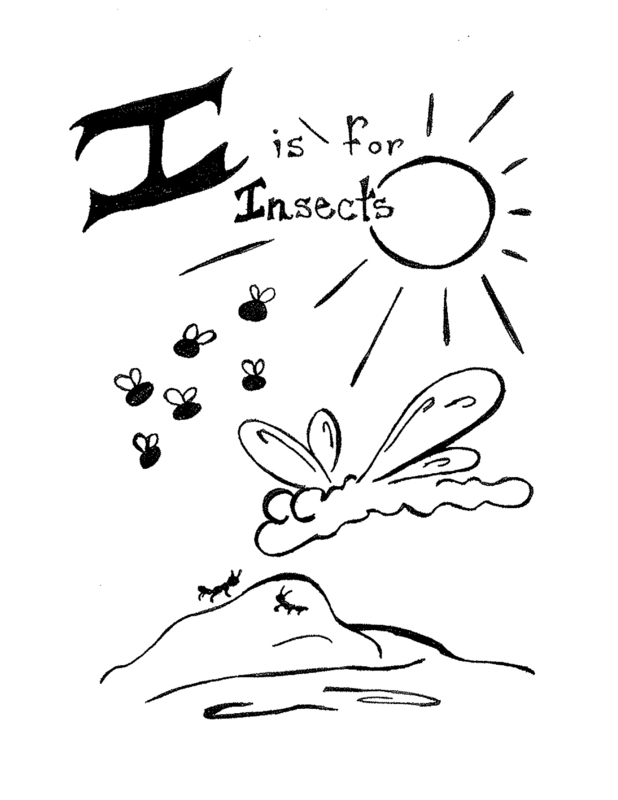 I is for insects; insects here, insects there, insects in soil, logs and air! Large logs which have fallen to the ground are a main structural component of old-growth. Insects play a key role in the decomposition of fallen logs. Bark beetles chew through the bark connecting outside to inside, which then allows other wood eating insects to join in: mites, termites & carpenter ants. slough sedge and silent streams – sacred place. Water is the essence of all life. 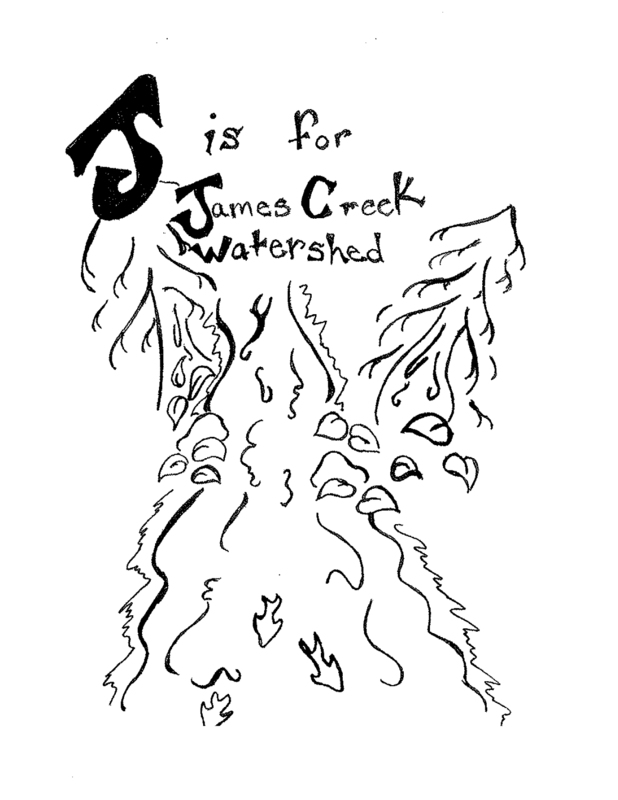 The watershed is the land base that collects, holds and transports water before returning it to the sea. 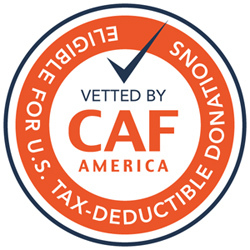 Community awareness of watersheds is paramount; a community that protects its watersheds protects itself. blooming blue in swamps where killdeer call. 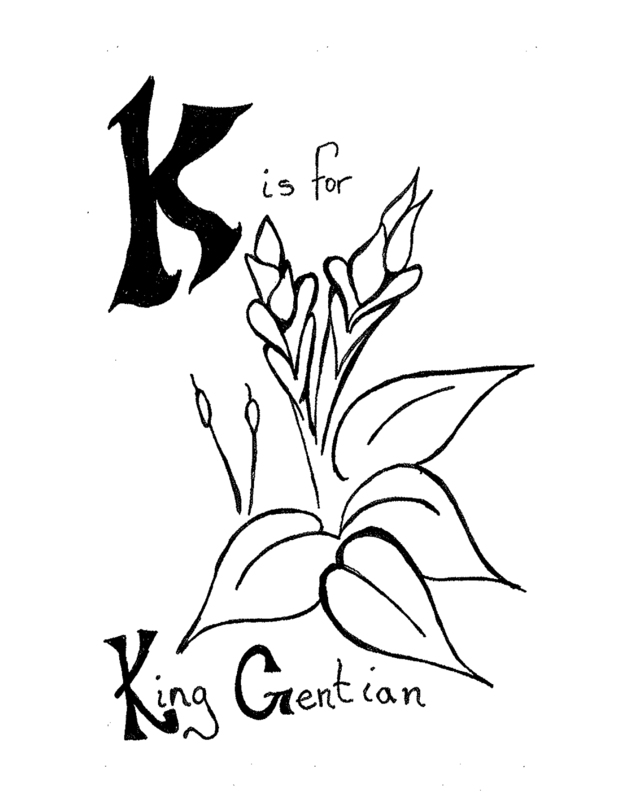 The king gentian, Gentiana sceptrum , can be found growing in the wetland bogs and meadows of the Delight watershed. Butterflies love the nectar of the rich, blue flowers which bloom in late summer and the fleshy roots are a rich source of medicinal bitters. 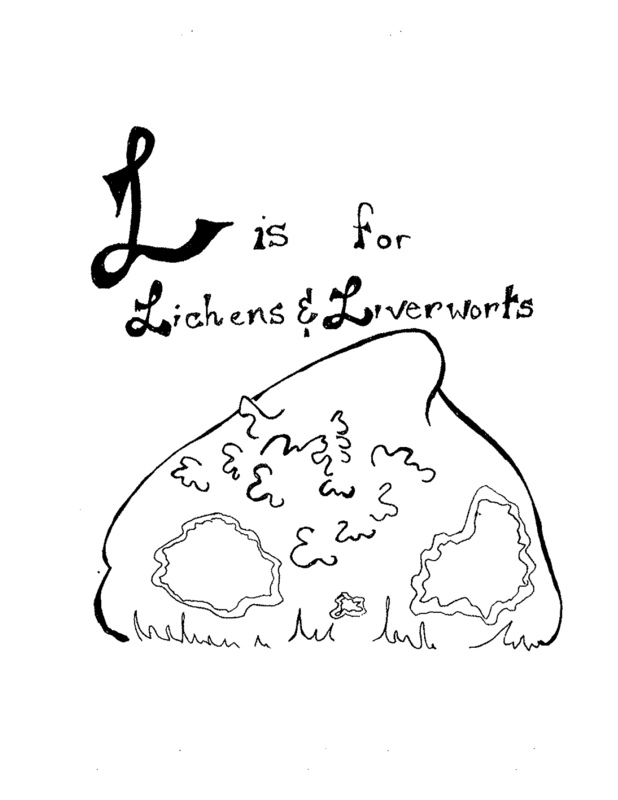 L is for lichens and liverworts – just loving the forest life! Forest lichens grow in sky gardens, high in the canopy of Douglas-fir, Sitka spruce and hemlock. Lichens, with the help of their associated bacteria, capture nitrogen from the atmosphere and chemically change it into a form that forest plants can use; up to 40 pounds per acre of this nutrient gift! 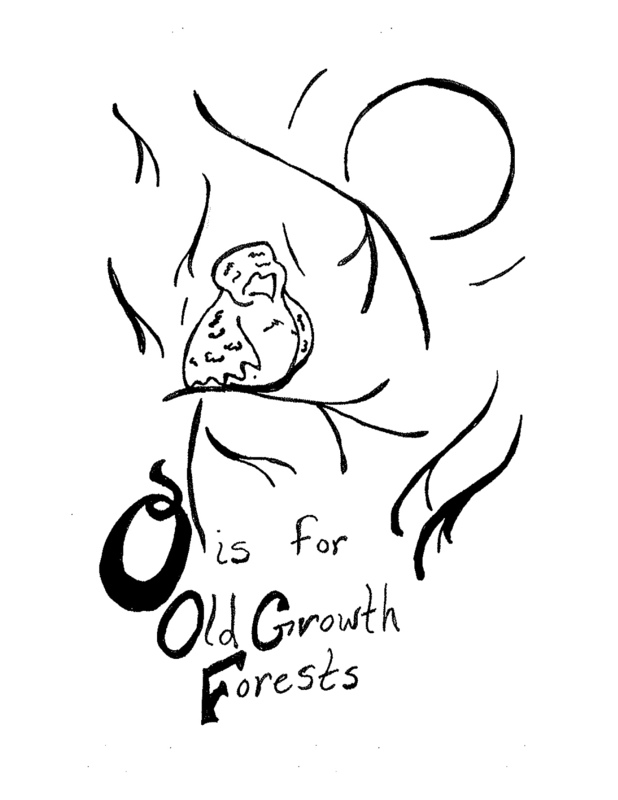 This is a forest secret we have only recently learned. spreading their goodness through the forest soils. 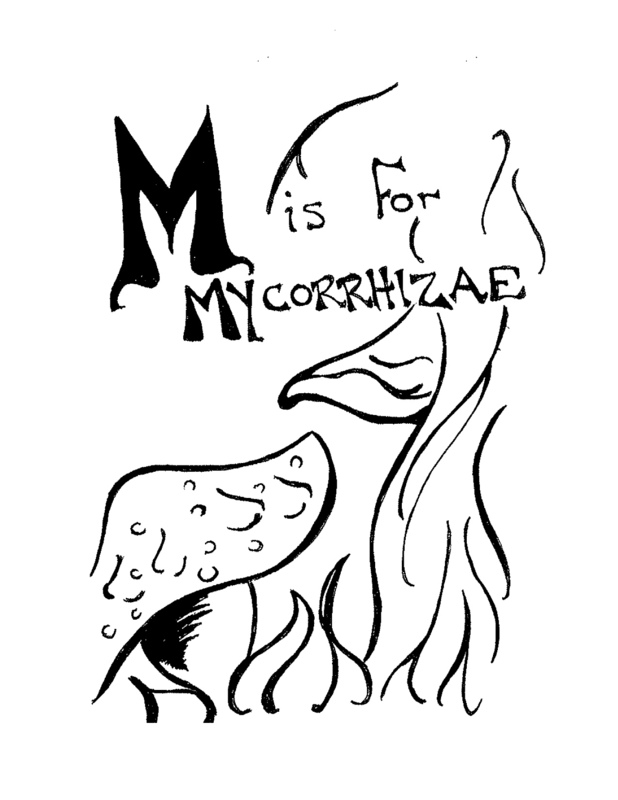 The next time you stand on the forest floor, imagine the mycorrhizal net spreading out under your feet! 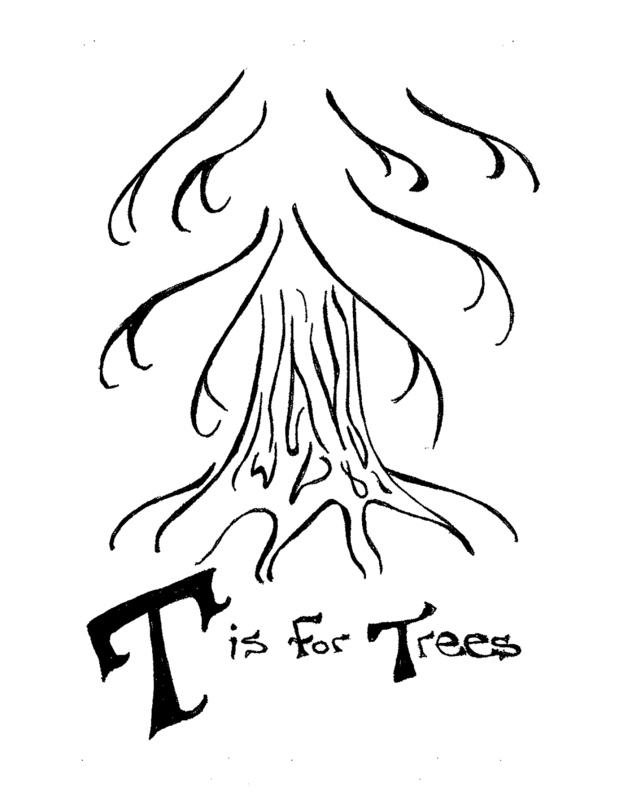 Fungal threads, known as mycelium, wrap around tree root tips facilitating the absorption of essential minerals and water, regulating the growth of new root tips and enhancing the tree’s immune system. 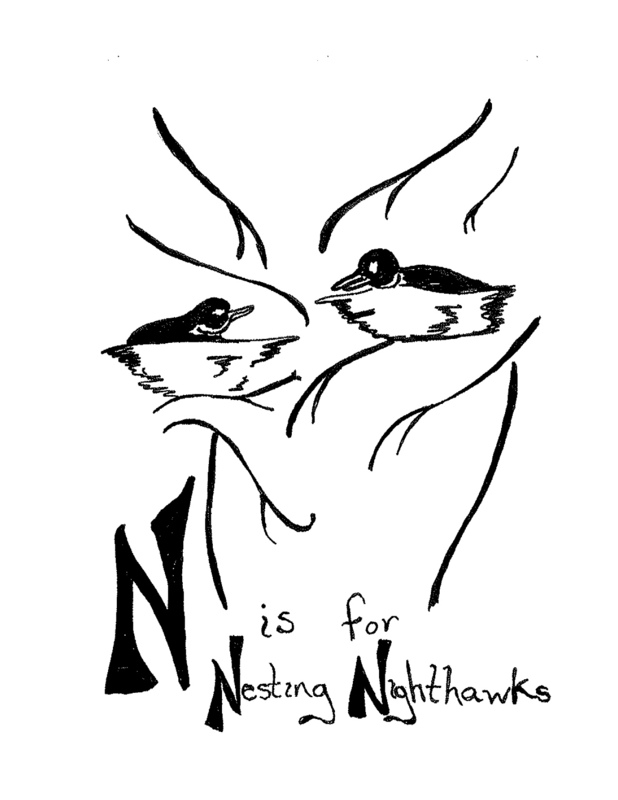 N is for nesting nighthawks, nearly never seen, so secretive are they. The common nighthawk, Chordeiles minor, used to be a common sight and celebrated sound above our open woodlands. Development in their nesting habitat, rocky outcrops, and the decline of their favourite prey, moths, have recently put the common nighthawk populations at risk in B.C. the ONLY home for spotted owls and marbled murrelets. Old-growth forests of the Pacific Northwest are ecosystems dominated by large conifers between 250 and 1000 years old. This forest ecosystem has been evolving for 11,000 years and has nearly been destroyed by 100 years of industrial logging. Speak now for the spotted owl and marbled murrelet, or forever hold your peace! 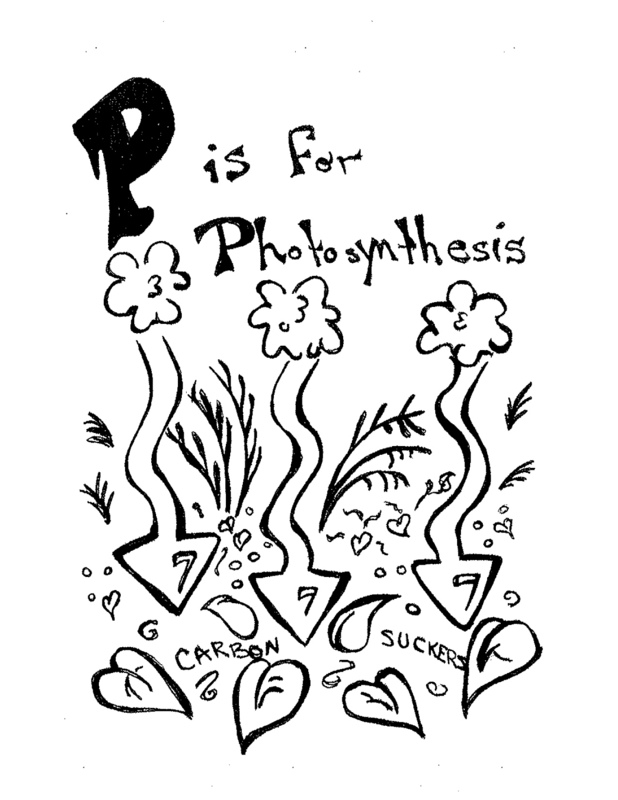 sinking carbon into the earth and keeping climate constant. 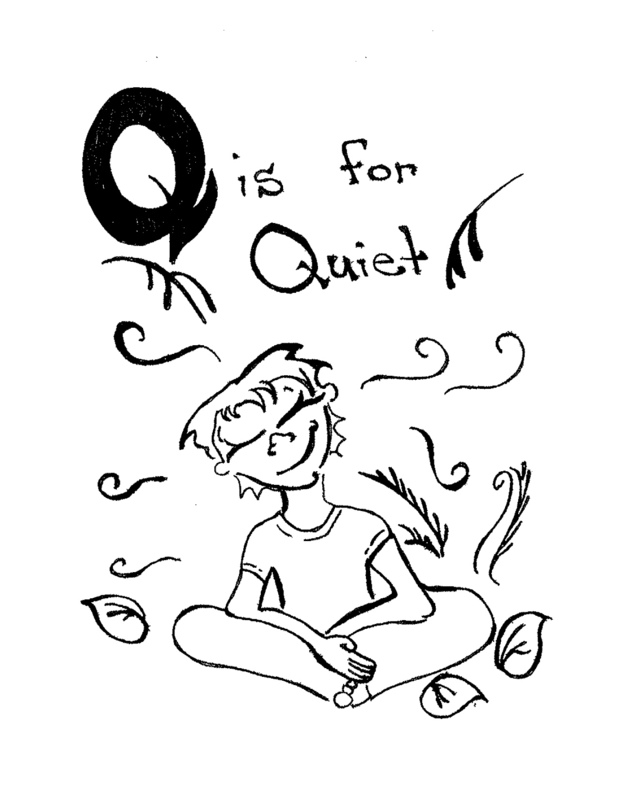 and the forest is found in quiet. We often overlook the spiritual value of our forest lands. Ancient groves of trees, some several hundreds of years old, give us pause and the opportunity to contemplate our own mortality. touching earth and flowing to the sea. 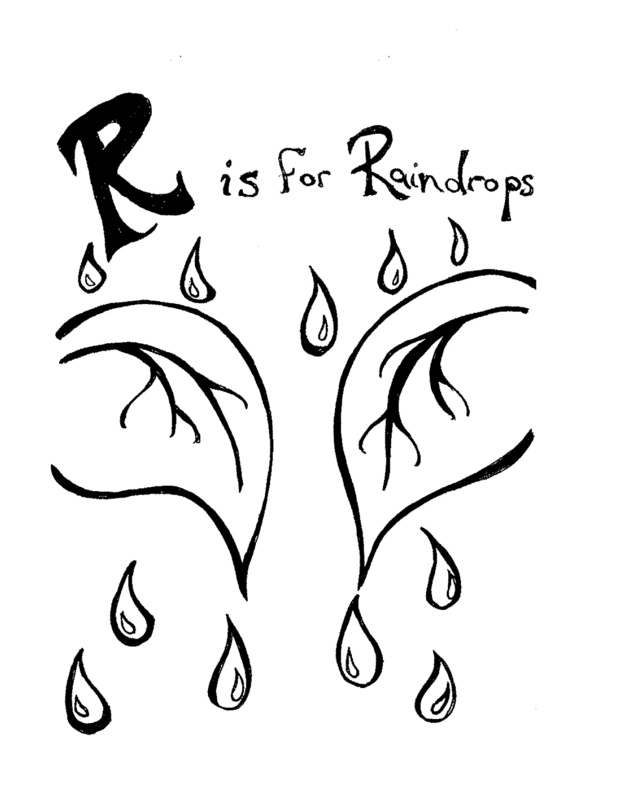 Raindrops are an integral part of the water cycle; condensing from the sky and falling to earth as precipitation. This water then moves through terrestrial and aquatic ecosystems before finally reaching the sea where it evaporates back into the atmosphere, thus completing the cycle. There are seven species of Pacific salmon, all in the genus Oncorhynchus: pink, chum, sockeye, chinook, coho salmon; cutthroat and steelhead/rainbow trout. Salmon have long provided the Pacific Northwest First Nations their staple diet and so it is, that the Klahoose First Nation on Cortes spearheads our local salmon enhancement program. 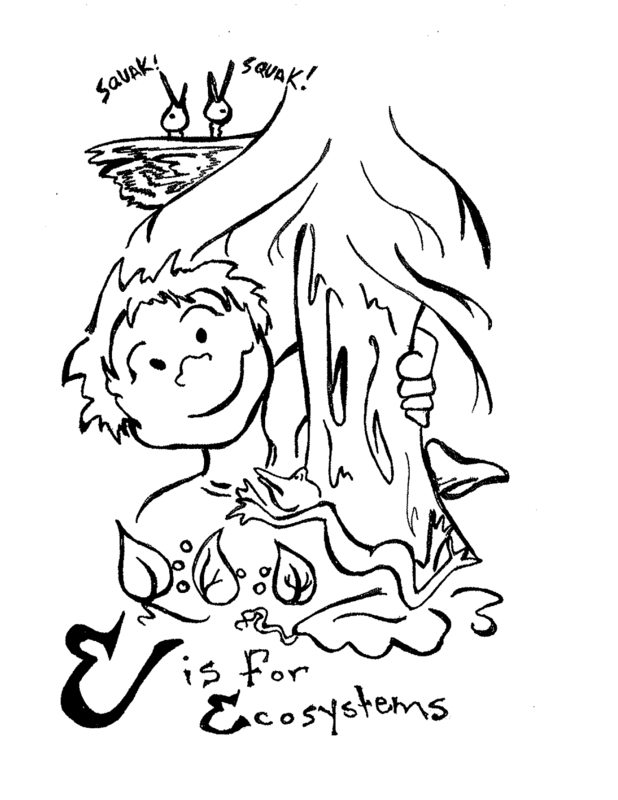 nurse trees, cedar trees – a forest full of trees! The Douglas-fir tree, Pseudotsuga menziesii, is one of our most common forest giants and was named after the Northwest explorer & botanist, David Douglas. The great size and sheer vertical thrust of these trees make them among the largest and oldest living things on earth! a magical place beneath the canopy. 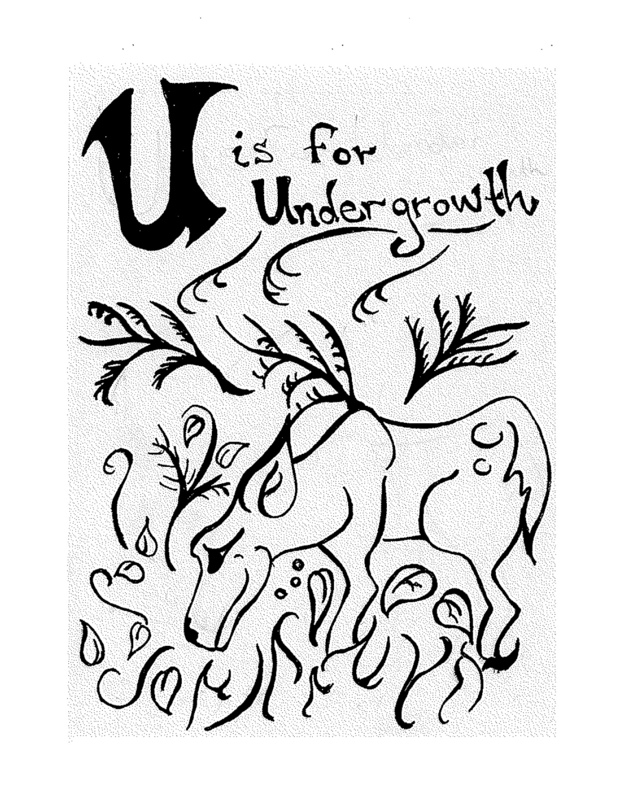 Understory plants are adapted to a range of conditions from open sun to constant shade. 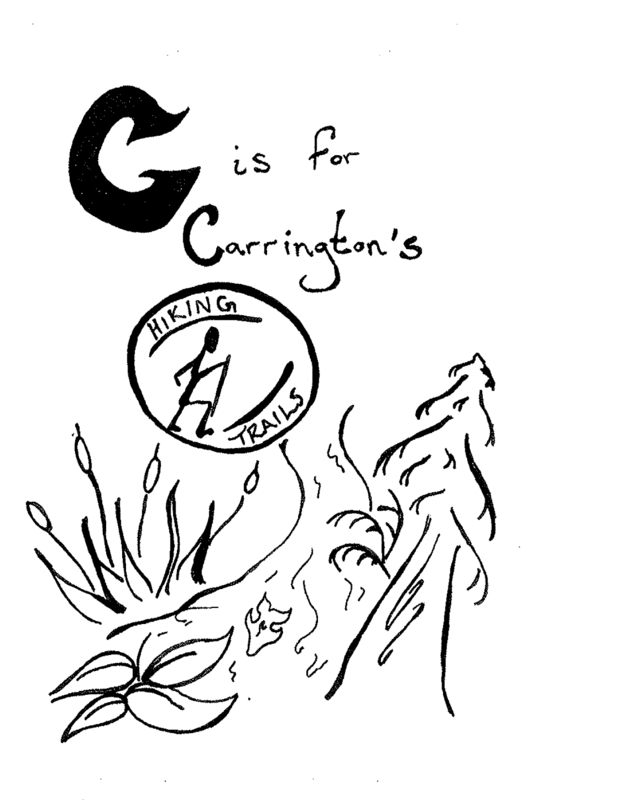 These plants provide essential food for insects, animals and wildcrafting humans. 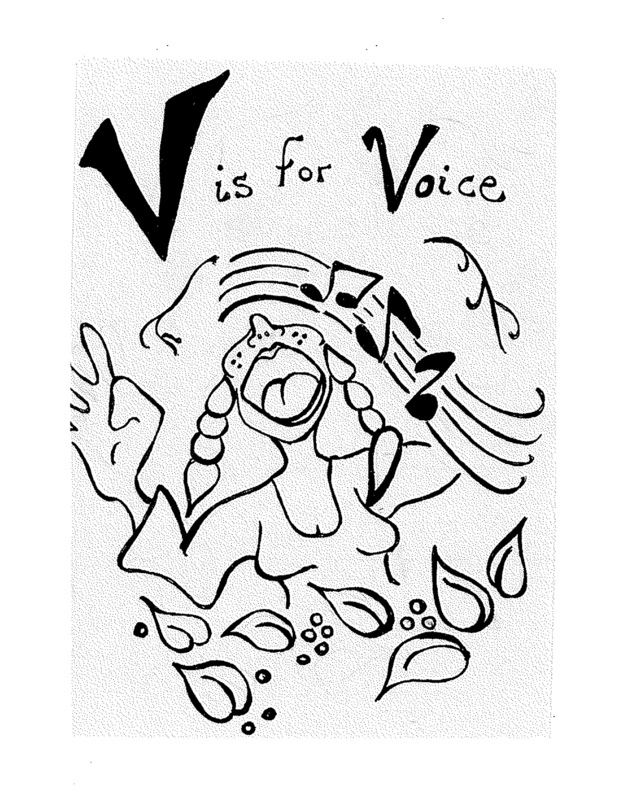 The Oxford dictionary defines voice as: an opinion expressed, the expressed will of the people, the right to express an opinion. Find your voice and speak for the forest! warily winding their way through forests. 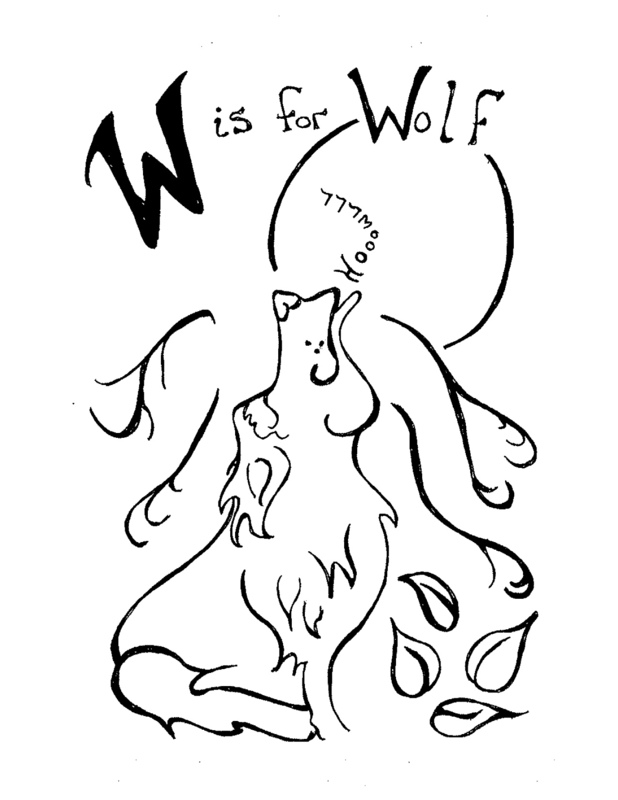 The coastal gray wolf, Canis lupus, is very much a maritime wolf. These wolves feed on clams, salmon, harbour seal and river otter, in addition to their traditional fare of deer and raccoon. They also regularly swim between Cortes Island, the BC mainland and neighbouring islands. the sign we make when asked if it is OK to clear-cut our forests. 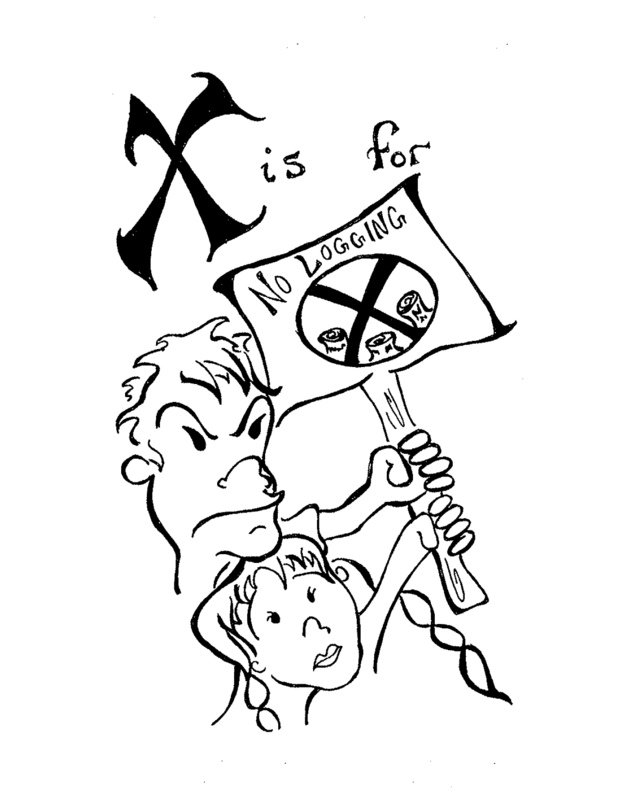 The paradigm of industrial scale, clear-cut logging is no longer viable in this new millennium. With up to 99.5% of Pacific Northwest old-growth forests logged, this sensitive ecosystem is endangered; red-listed in B.C. and unquestionably defended on Cortes Island! feeling at home in this wild place! 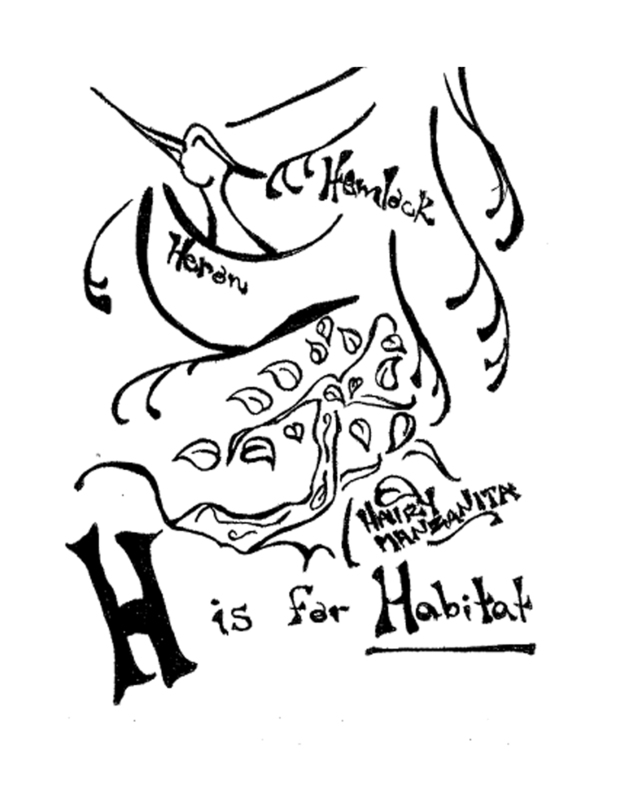 Henry Beston, artist and environmental activist, defined place as, “a part of the whole environment that we claim with feelings.” Yes, these forest lands ARE our home place and we DO claim them with our feelings! 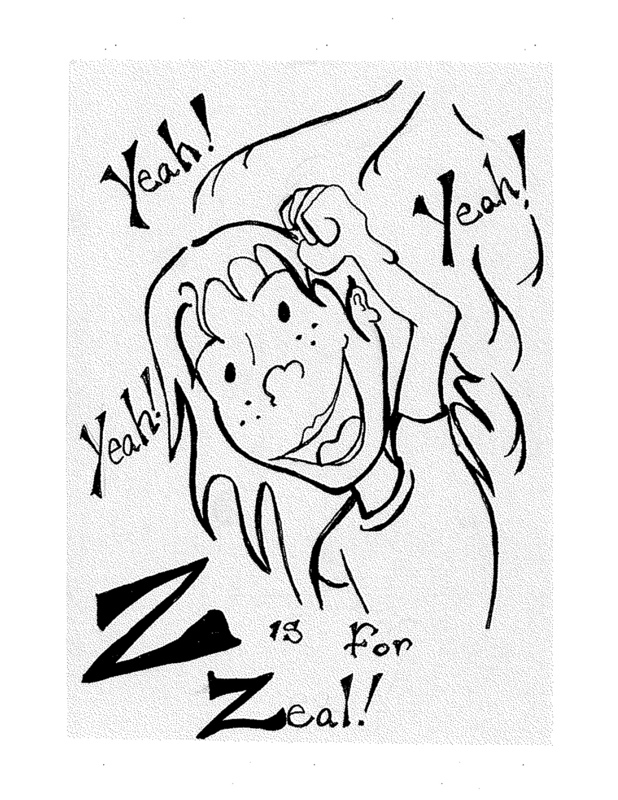 Z is for zeal and that’s how we feel about protecting our forests forever! Imagine… the forest lands of the James Creek watershed are to be entrusted to all the children of Cortes Island, in perpetuity. 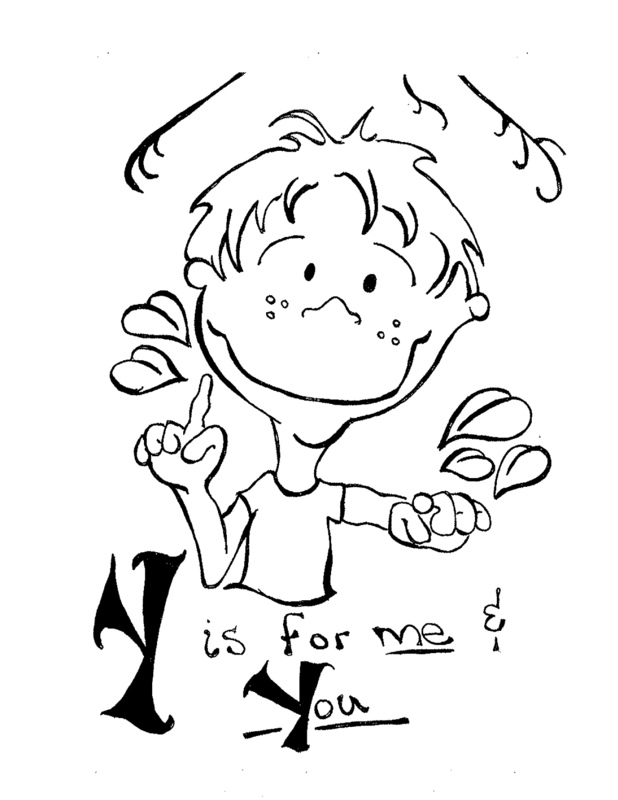 That’s how we feel about protecting our forests forever! !